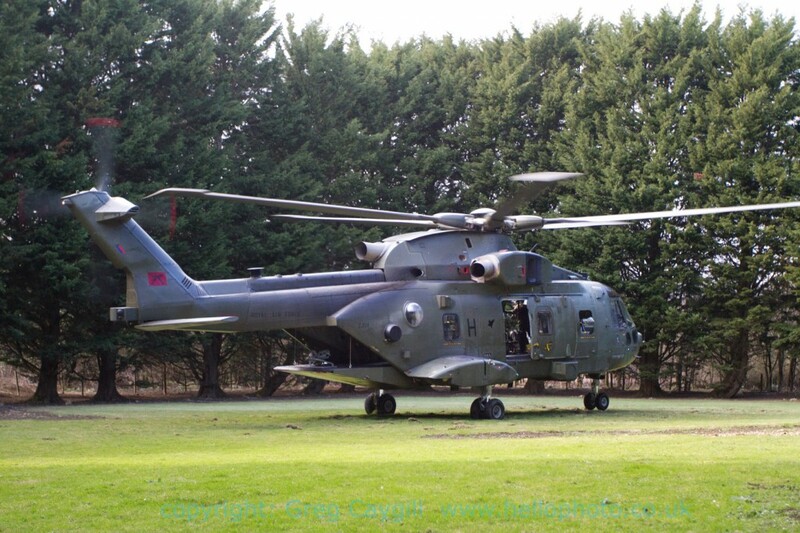 AF Merlin HC3 Helicopter ZJ124 is operated by No. 28 Squadron out of RAF Benson. Seen here coming in to land and in a Royal Navy enclosed area with guns aboard. The light was dark on a dull day with a little sun, it was so dark in there I had to push the ISO/film speed up so getting a bit grainy. 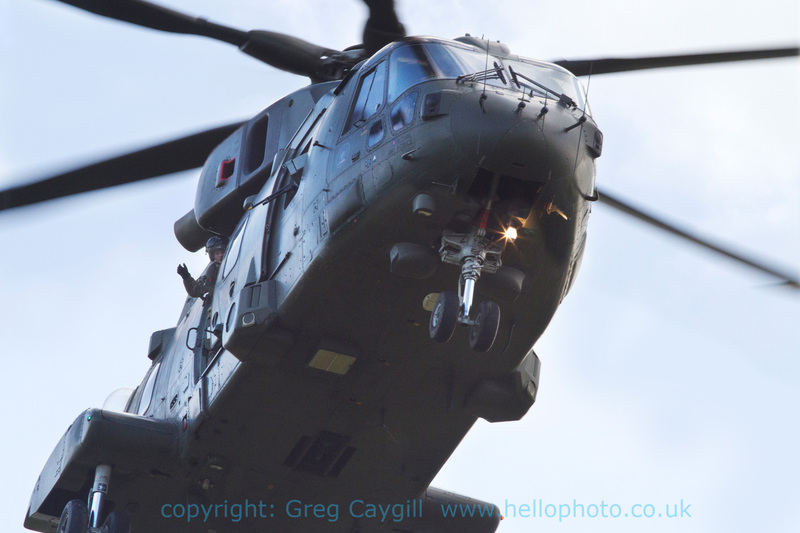 I have been under and behind Merlins before, eg. on the pan at RNAS Culdrose and the down wash is very strong, the trouble here was the amount of flying earth and bits making it hard to photo from behind, but wow, what a lot of fun. 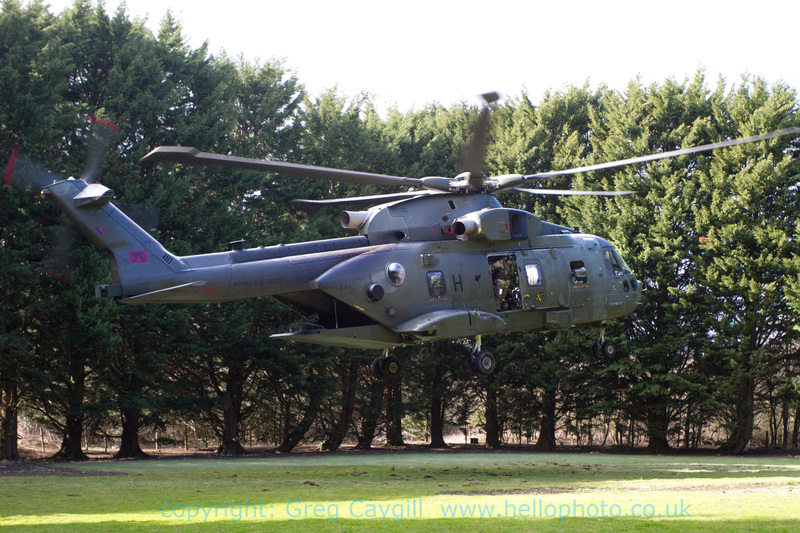 A huge thank you to all Royal Naval Officers and aircrew for access and drive. Also to the RAF crew and Wave! (I heard its possible one RN crew member was on board for training) The RN are getting these cabs to replace the beloved Seaking. 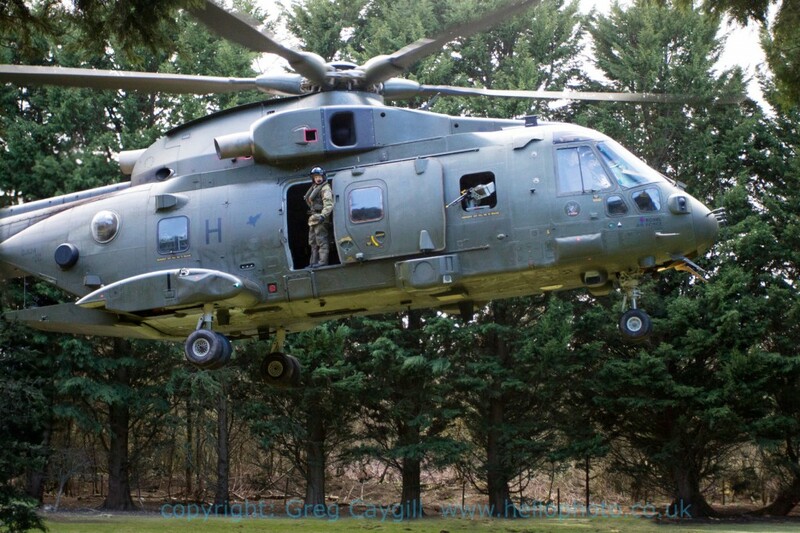 Photos if wanted are for the RAF crew and Squadron and RN personal involved.